Factual error: Dev Patel is standing in front of Trinity College's statue of Issac Newton. Directly behind the statue is a marble wall with names carved into it. This wall is a list of the members of the college who died in World War II. It would not have existed in 1914. 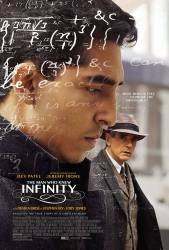 S. Ramanujan: These steps you want, I do not know how to do.